Stock status is current as of 4/24/2019 2:03 PMET. The small and medium-sized businesses (SMBs) expect a higher level of performance from their networks - more connections to support diverse applications, fewer network disruptions, easier management and a greater degree of network security. 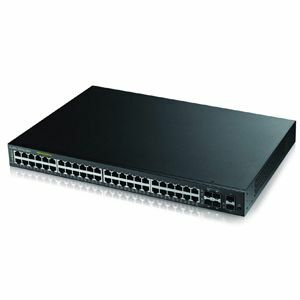 The ZyXEL GS1920 series of switches fulfills these expectations with support for 48 100/1000BASE-T PoE Plus ports, as well as non-blocking performance and high-power budget support to facilitate a greater number of network connections.